Rachel Givens, a 23-year-old woman several years removed from leading her Auburn, Wash. high school to a state girls-basketball title, was struck by a "small dark sedan or sports car" while crossing a roadway two weeks ago. The para-educator and coach would be pronounced the next day, "but her body was being cared for so organs could be donated," which they were, according to KOMO News. "I just don't know how somebody could do that," cried Rachel's 16-year-old sister Sarah, "How could somebody just leave her dthere on the road?" A large group of friends and family members have been camped out at Tacoma General Hospital since the incident Saturday night. They described Givens as a funny, lively woman who had been a para-educator and coach at Mukleshoot Tribal School. Givens was also a star athlete at Auburn-Riverside High School, leading the soccer team as well as the 2008 girls basketball squad to a state title. It's a young life Givens' sister wanted to emulate. "I still think I'm going to see her in the morning," Sarah Givens said, "I still think she's going to come back to me." But what hadn't surfaced was evidence that could help Sumner Police catch the hit-and-run driver who killed Givens. 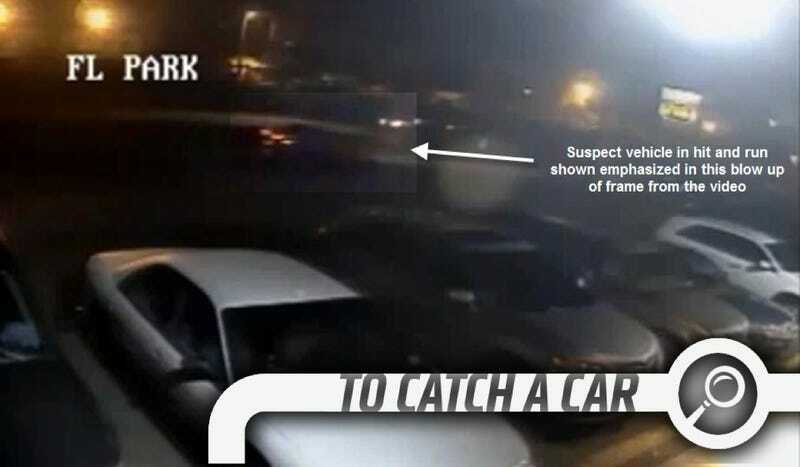 So, earlier this week, investigators released a two-second video clip "in the hopes a member of the public can help identify the vehicle involved." An anonymous donor has offered a $5,000 reward for information leading to the identification, arrest, prosecution and conviction of the driver responsible for the death of Ms. Givens, according to police. So, members of the public handed minimal detail with which to work, do you see anything that can help identify the make and model of the hit-and-run vehicle?